7-Eleven’s Rapid Expansion Benefiting the Net Lease Market! 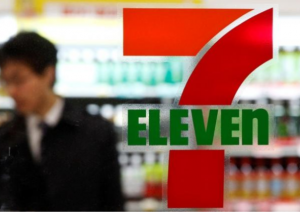 on September 12, 2013 By Christian Marabella In The Net Lease Blog Comments Off on 7-Eleven’s Rapid Expansion Benefiting the Net Lease Market! What started out as an ice house in Oak Cliff, Texas back in 1927 has grown and evolved into the world’s largest convenience retailer. Based in Dallas, Texas, 7-Eleven, Inc. operates, franchises or licenses more than 50,000 stores in 16 countries, of which more than 10,000 are located in North America. 7-Eleven licensees and affiliates operate 40,000+ locations in countries including Japan, Australia, Taiwan, Singapore, Philippines, Sweden, Denmark, South Korea, Thailand, Norway, Malaysia, China, Indonesia, Macau, Mexico, Canada and Hong Kong. At this time 7-Eleven is the world’s largest convenience retailer. 7-Eleven has achieved this rapid growth through its Business Conversion Program, Acquisition, Lease Remodel (existing buildings) and Build-To-Suit-Tenant Finish (new buildings). Demographically, the company is seeking a mix of residential and daytime worker population at a minimum of 5k within a ½ mile radius. The company prefers middle-income areas for expansion with a strong percentage of the population in the 18-to-34-year-old range. Standard and Poor’s Rates 7-Eleven, Inc.’s Bond’s as AA- with a stable outlook which has given 7-Eleven Landlords an edge when seeking financing for 7-Eleven Corporate Leased Fee Simple and Ground Leased properties. Marabella Commercial Finance has arranged financing for eight of the freestanding 7-Eleven Gas stations in the past. The fact that 7-Eleven is an Investment Grade Credit allows for a lower interest rate, longer amortization and better overall loan terms. Marabella Commercial Finance is currently targeting newly developed Fee Simple and Ground Leased Corporate 7-Eleven, Inc. properties with a minimum of 15 to 25 years remaining in the primary term of the lease. Marabella believes it can arrange a 5/7/10/15 year fixed rate financing with a 25 to 30 year amortization for the 7-Eleven properties. Currently for 7-Eleven transactions, we are offering a 5 year fixed at 4.00% to 5.00% a 7 year fixed in the 4.375% to 5.00% and a 10 year fixed rate loan in the 4.50% to 5.75% range. Leverage is in the 50% to 75% range with a minimum DCR of 120% to 135%. To watch the YouTube Video Feed Interview in which Shari Eckert interviewed Christian Marabella at the 7-Eleven Booth in San Diego in September of 2012 go to the following URL: http://youtu.be/1Gt4j3bj5kU. Contact Christian S. Marabella directly to review your 7-Eleven finance options today at (760) 479-0800. Or visit our homepage at: https://www.marabellafinance.com.